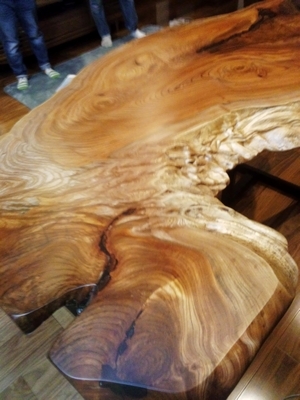 We delivered a Japanese Zelkova table top today. It is a unique piece, and almost seems like it is dancing. 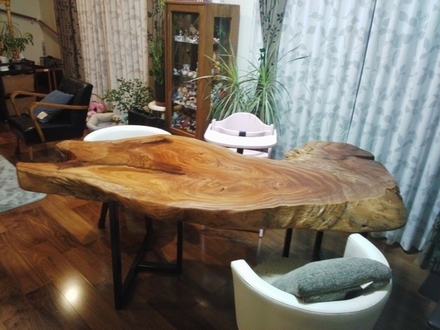 Zelkova is a very heavy wood and its weight makes wrinkles on the surface of the wood and beautiful patterns inside. We fill the hollow parts with a resin to make the surface flat. 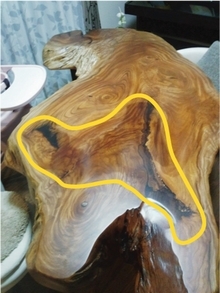 Since the resin is transparent, the shape of the hole in the tree can be seen and enjoyed. 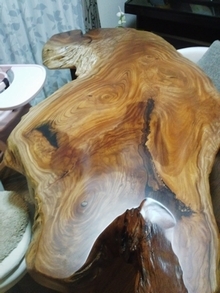 It is like nature's art.